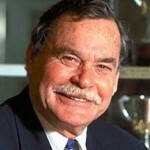 Ron Barassi is a legend for many reasons – an incredible player, revolutionary coach and enduring media personality. For more than 50 years he has been one of the most influential people in the game. Barassi won a staggering 10 premierships as a player and coach. 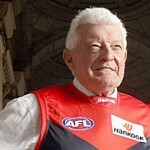 As a player he helped Melbourne win 6 flags, winning the team’s best-and-fairest award in 1961 and 1964. His coaching career began at Carlton, guiding them to flags in 1968 and 1970. At North Melbourne he coached the Kangaroos to premierships in 1975 and 1977. Barassi returned to the Demons in 1981, laying the foundations for what would become a revitalised Melbourne side. He returned to coaching in 1993, taking over the rock-bottom Sydney Swans. His status as an AFL legend, savvy media ability and unparalleled coaching record made him uniquely qualified to carve out a space in the rugby heartland. In his three seasons in Sydney, he helped put both AFL football and the Sydney Swans on the map in the Harbour City. His lifelong involvement in football continues. He is passionate about the development and expansion of Australian Football, whether it be at junior, regional or international level. Allen Aylett’s involvement with Australian football at the elite level spans 50 years, throughout which time much has changed thanks largely to his vision for the future of the game. Aylett played 220 games and kicked 311 goals in a career spanning 1952–1964. He won North Melbourne’s Best and Fairest award from 1958–1960, was All-Australian in 1958 and 1961, won the Tassie Medal in 1958, won the Simpson Medal in 1960, and was captain of his side from 1961–1964. He was selected in the North Melbourne Football Club’s Team of the Century, and he is also named as a Legend of the Club. He was the chairman of North Melbourne from 1971–1976. 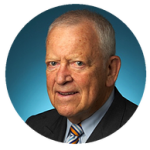 Aylett gathered about him a team that was, over the next five years, to re-define football administration and drive, not only for North Melbourne, but the entire league, to a level of professionalism and business focus never seen before. Under Aylett, North were pioneers, introducing initiatives such as paid sponsorships, corporate entertainment and other marketing bonanzas such as the Grand Final Breakfast. In 1977 Aylett was elected by his peers at rival clubs to head the Victorian Football League. In his eight years as VFL president, Aylett lead a team that transformed the game and laid the foundations for what we now know as the Australian Football League. During his tenure the competition became truly national when South Melbourne moved to Sydney to become the Sydney Swans. Friday night football was also introduced, as well as Sunday games and live grand final telecasts. In 1979 Aylett was made a Member of the Order of the British Empire (OBE) for his services to Australian football. Brian Dixon played 252 VFL games for Melbourne between 1954 and 1968, playing in 5 premierships, winning Melbourne’s Best and Fairest in 1960, while in 1961 he was selected in the All Australian Team and he also won the Tassie Medal for his performances at the 1961 Brisbane Carnival. In 2000 he was named in Melbourne’s Team of the Century. Despite still playing football for Melbourne, Dixon entered parliament in 1964. After being promoted to the ministry he served in several portfolios including Youth, Sport and Recreation, Housing and Aboriginal affairs. His most remembered achievement was introducing the iconic Life. Be in it. program. 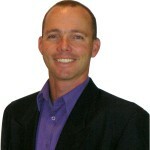 Dixon is part of the executive of TAFISA network (The Association For International Sport for All). TAFISA has over 200 members from 130 countries on all continents. Members include National Olympic Committees and Ministries of Health, Culture and Sport. Brian Clarke was born in Amsterdam and has lived and worked in the Netherlands, New Zealand, Japan and the UK. A law graduate, his business background includes law and the Department of Foreign Affairs & Trade (DFAT). Brian has been involved in international football for 20 years, as a player, coach, umpire and administrator. He has been responsible for the creation of such concepts as the AFL International Cup, Aussie Rules UK, Harmony Cup, EU Cup, Footy X and Footy 9s. 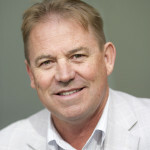 Brian is the current CEO of Australian Football International. Colin Tincknell was a young English migrant in 1955 when he arrived in Australia. However it was always footy for Colin, he went on to play a massive 496 senior games of AFL – winning 7 premierships along the way as coach and player, plus playing league footy in the WAFL for Claremont in the 70s and 80s and successfully captaining his state of WA against the big V in 1980. He worked for the WAFC and the AFL as CEO of AFL New Zealand, hence his love of International AFL. He looks forward to the day that we have an AFL side based overseas – maybe NZ? These days he is a senior external affairs executive with 20 years experience and management in corporate social responsibility (CSR), communications and media specialising in stakeholder engagement, public relations and cultural/indigenous affairs.